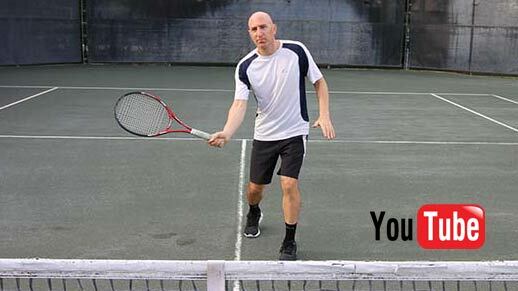 If you’ve struggled with hitting topspin, this post may be the answer to your topspin issues. 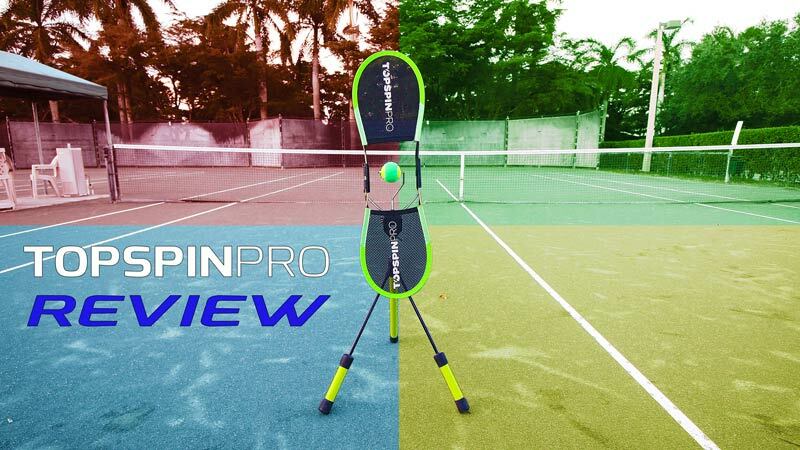 In it, I give my honest review of the Topspin Pro. Don’t forget to check out the video I made to see it in action! What exactly is the Topspin Pro? 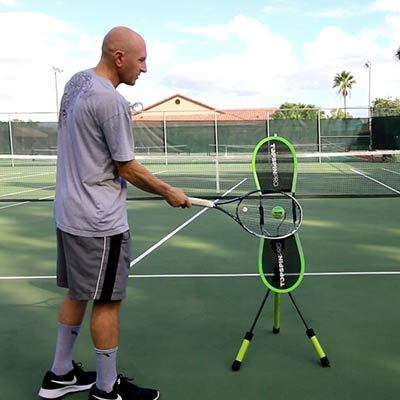 The Topspin Pro is a tennis training device specifically designed to aid players in developing topspin. To my knowledge, the Topspin Pro hit the market in 2015 and has been well-received by tennis coaches and enthusiasts around the world since. It’s a simple machine but very effective in teaching topspin. The company claims it can be used by children 5 years old and up. That really means everyone who plays tennis – even adults. Hey, we all need to practice, don’t we? But seriously, I even find the Topspin Pro to be useful for an advanced player like myself. It simply reinforces the correct swing path for topspin. And I like topspin. I also find it to be a great tool for beginners, but intermediate players will also improve with it. I use the Topspin Pro mainly with my younger students, who range in age from 10-15 years old. Every time I bring it to the court, I’m always amazed how children react to it. At first glance, they crowd around the Topspin Pro in a curious fashion. They ask me, “What is that?” It only takes me two minutes to give them an answer and demonstrate how it works. Within seconds they’re copying me and hitting with topspin. If they don’t at first, it’s easy to grab their rackets and move it in the correct swing path. This does the trick every time. There has literally never been one child that couldn’t make the ball spin forward. In my experience, all children and adults are fully capable of hitting topspin. In theory, if they can produce forward ball rotation on the Topspin Pro, they can do it during actual hits in practice and matches. The Topspin Pro is designed to provide instant feedback to the user, which I love about it. It does this by suspending an actual tennis ball on a thin rod that allows it to rotate forward. 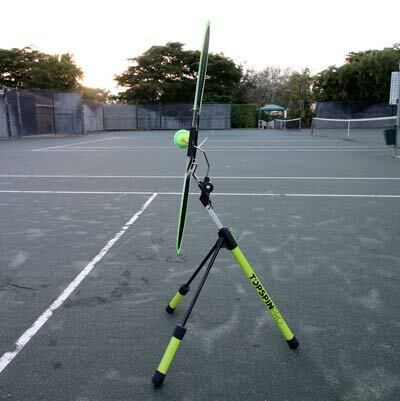 The machine is used by standing to the front side of it and striking the ball with a tennis racket. If the ball is struck correctly, it rotates forward, creating topspin. If not struck correctly, no rotation occurs on the ball. That’s really all there is to it. The machine doesn’t have any options, besides allowing the ball to move about 8 inches forward or not after it has been hit. I prefer the ball to move forward rather than stay in place. The Topspin Pro can be adjusted for any height person, from kid to full grown adult. The adjustment pin is very easy to use and requires just a few seconds to adjust up or down. This innovative teaching tool can be used indoors or outdoors. To me, it’s one of the best indoor tennis training devices on the market. You can learn to hit topspin in your living room if you want! Now that’s cool. I find the Topspin Pro to be durable and haven’t experienced any issues since purchasing it. I’ve whacked it pretty hard and it’s never fallen over. The three tripod legs it stands on are strong and stable. How Does The Topspin Pro Teach Topspin? 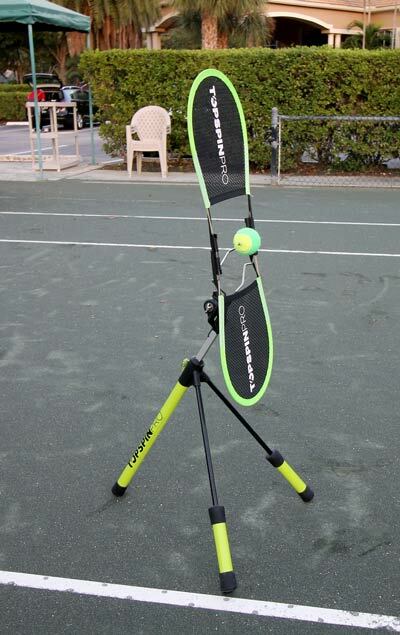 It teaches topspin by forcing the user to move the tennis racket in a low to high swing path. This is accomplished using the shoulder, elbow, and wrist joints in conjunction with each other. 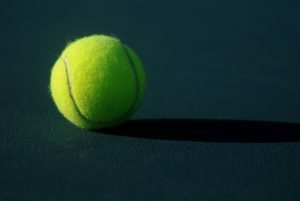 If the ball is struck on the lower side first, and brushed on, the ball will rotate forward. This is how all topspin shots are achieved in tennis, whether on the forehand, the backhand, or the serve. Racket angle is also important for topspin. The face should be slightly closed on contact, which is easier said than done. The Topspin Pro is built using this in mind. 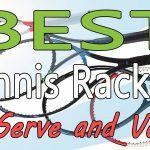 According to Topspin Pro’s website, the angle of the racket face at contact should be in the mid-to-high 70s. For example, Federer hits with a 79-degree racket face and Nadal 76. The screen reflects the required racket face angle and forces exact bio-mechanics of modern topspin groundstrokes – as seen by today’s professional players. When I demonstrate the Topspin Pro to my students, I show them how I align my racket face to the mesh screen. Once it’s aligned, it’s now at the perfect angle to generate topspin. From there, all I need to do is swing in a low-to-high manner, brushing from underneath the ball. Voila, instant topspin! I then have my students swing, doing a couple of minutes on each wing – forehand and backhand. 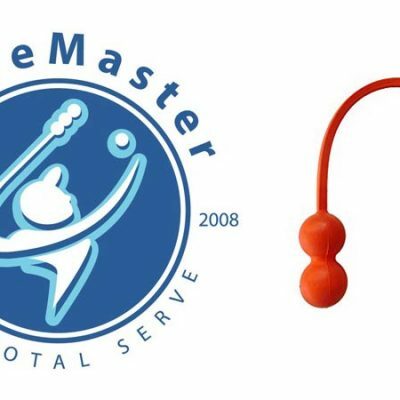 I definitely see a difference in my students’ strokes after using the Topspin Pro. After using the device for only a couple of minutes, they have more topspin on their shots during practice. However, the new angle face and swing path they learn needs to be reinforced. After 10-15 minutes, they may go back to their old swing, which does not generate topspin. When I see that happen, I put them back on the Topspin Pro. For that reason, it’s a good idea to have students practice with it for a few minutes before every practice session. 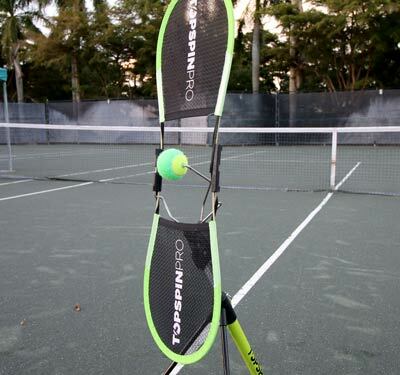 Even using the Topspin Pro two or three times in a one-hour practice is perfectly fine. It only requires a couple of minutes to reinforce the swing. Topspin is important for several reasons in tennis. First, it helps keep the ball in play. The forward spin on the ball causes more pressure to build on top of the ball, forcing it downwards. This is critical when hitting fast-paced shots. The forward rotation of the ball forces it down into the court. Without topspin, hard flat shots have a slim margin of staying in the court. But with topspin, the margins are much higher. Topspin also makes the ball more difficult to volley at the net. This is because of the dipping effect the ball has with topspin. Balls that dip are tough to volley. The reason is that they drop below the net and must be volleyed near the ground. Furthermore, it’s more difficult to control a ball hit with heavy spin. A lot of spin often results in the ball “flying” off the opponent’s racket. This is another reason why serve and volley is so difficult in today’s modern era of polyester strings and space-age like rackets. Another reason for hitting topspin is net clearance. Balls struck with heavy topspin can be hit higher, providing more net margin. When a player only hits flat, the ball must be struck with less velocity, closer to the net, or both. Topspin allows for so much more versatility in a player’s strokes. If you look at today’s modern game, players are hitting harder than ever. The margins for error are so slim that players can’t afford to hit without high amounts of spin on the ball. Every good junior player I’ve hit with has great topspin on the ball. While topspin is an easy concept to explain (swing low-to-high and brush on the lower side of the ball), it’s not easy to do. If it was, a device like the Topspin Pro wouldn’t have been created. I find that most beginner and intermediate players struggle with using their wrist to produce topspin. They also don’t come from underneath the ball nearly as much as they should. Doing these components, in addition to racket speed, generates serious topspin. The Topspin Pro teaches all this for me. If the player doesn’t use their wrist and strike the ball from underneath, the ball will fail to rotate. Instead of teaching all this manually, I only need set up the Topspin Pro and let the kids have at it. I want to stress that adults will also benefit from it. 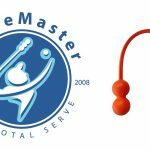 I have a few beginner adult students who I use the Topspin Pro with. I find that it helps adults equally well. It’s amazing to me that such a simple concept took so long to hit the market. I’m glad it has though. You heard me say a lot of excellent things about the TopSpin Pro so far. While I do own one and use it with my students without any issues, I want to address a few negatives that you should be aware of. I’ll list them out below. Transportability – The Topspin Pro can be a little cumbersome to transport. It can only retract so far. This is a small drawback for me only if I take it to the tennis courts. If I’m using it at home, then it’s no issue at all. 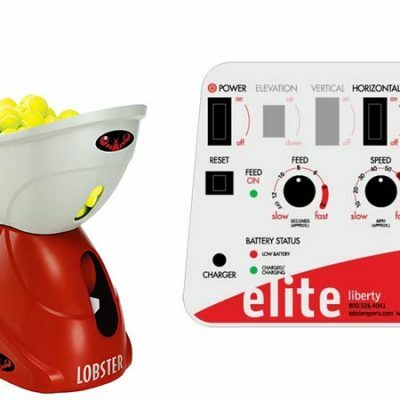 Usability – The Topspin Pro is great at teaching topspin but after using it for a few minutes, it can become monotonous. There’s only so many times you can brush on the ball. For this reason, I advise using it for a couple of minutes on the forehand and a couple of minutes on the backhand per use. 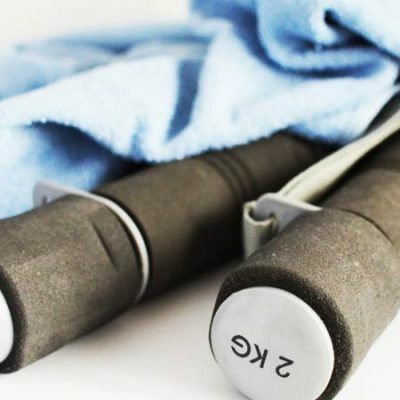 It’s much better to have short, consistent training sessions with the TopSpin Pro frequently rather than long training sessions once in a while. Wear and Tear – I personally haven’t experienced any issues with the device since purchasing it. But I’ve gone through the reviews on Amazon and a few people have said either the pin falls out easily or they had problems with the mesh fabric or the bungees that hold it in place. As of the writing of this post, these claims were stated in 3 of the 67 total reviews. My students and I have personally whacked the Topspin Pro around like it’s a pinata and it’s still as good as the first day I got it. You can see my pictures and my review. The Topspin Pro in them is the exact one that I have been using with my students. In my opinion, it holds up quite well to wear and tear, so I wouldn’t worry about it. 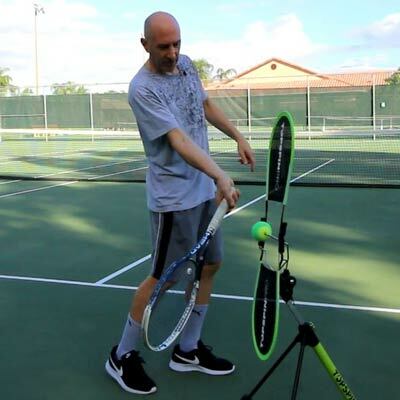 If you’re a beginner or intermediate player struggling with tennis topspin, the Topspin Pro is an excellent training tool. I can’t think of a better training device to help you hit topspin. If you’re buying the Topspin Pro for a child or junior player, I feel it’d be very beneficial to their game. For convenience, you can leave it in your garage or home. It’s completely unnecessary to take to the court. Your child can practice with it at home whenever they want. If you have good topspin already, then I feel the Topspin Pro is not needed. It’s really not a tool for advanced players, though it can’t hurt to be used by one. I personally like to use it just to reinforce the perfect racket angle for topspin. The cost of the device is not cheap. 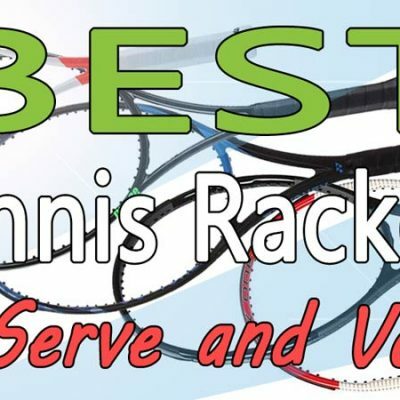 You can take a private tennis lesson for the same cost as the TopSpin Pro. I looked at the purchase of mine as an investment. I’ll have it for years to come plus it’s going to help all my students. If you’re a parent buying it for your child, I think it’s a good investment in your child’s tennis career. If you’re a tennis coach, I highly recommend you buy it to use with your students, as I do. If you’re a beginner or intermediate adult, consider what you’re willing to pay to improve your strokes. For some, it’s worth it, for others not. 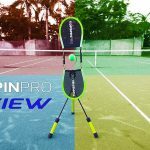 I hope this honest review of the Topspin Pro helps. If you have any questions about it, feel free to leave it in the comment section below.